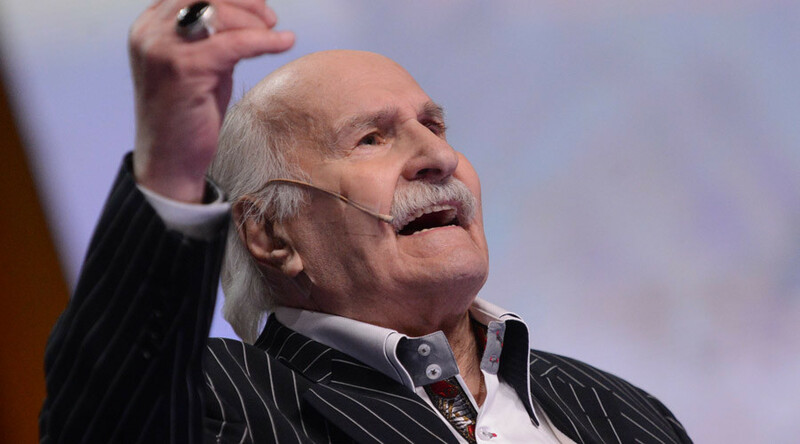 The oldest and one of the most famous Russian actors who was born in Tsarist Russia and is still performing on stage despite having celebrated his 100th birthday this year and being hospitalized from a broken hip. Vladimir Zeldin, a 100-year-old Russian actor who is still performing in theater and appearing in the films, broke his hip during a medical screening in a Moscow hospital. He was then transported to another hospital “in poor condition” and endured a surgical procedure. “The surgery went well. The medics say Vladimir’s condition is good,” Zeldin’s wife said, adding that the actor was even telling jokes during the operation that was performed under the spinal anesthesia. Vladimir Zeldin is listed in the Guinness Book of World Records as the oldest professional actor still on stage, TASS reports. He celebrated his 100th jubilee on February 10. On his birthday, he apeared in a theater benefit performance. Zeldin was born in the Russian Empire in 1915. He lived through the revolution in Russia and both World Wars. He became famous throughout the Soviet Union as a film actor in 1941. Since that time he starred in many famous Soviet and Russian films and TV series in addition to acting in thousands of stage plays.